"I cannot rely purely on the Boda Boda (motorbike taxi) business as sometimes clients are hard to come by. So now I have a shop on the side. This loan will help provide some consistent income for me." Yusuf Salat- Boda Boda Operator. 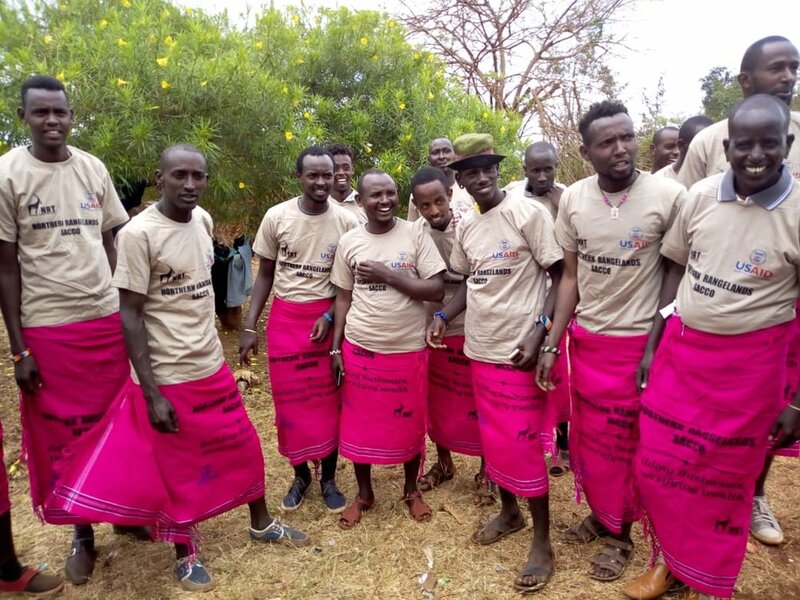 In September, Yusuf was among 22 young men from Songa Conservancy, Marsabit to receive a KES 25,000 business loan from NRT Trading, as part of the Moran Economic Empowerment Savings and Credit Cooperative (Morans SACCO). And this is what NRT Trading hope to tackle with the Morans SACCO initiative; which dispensed KES 7.6 million in loans to 389 morans in 2017. The group from Songa were selected by board members, who were asked to look for promising morans (young warriors) engaged in small businesses. The group underwent two days of financial literacy training before receiving a loan of KES 25,000 each, through a cooperative that will be owned and managed by the young men themselves. After a grace period of two months, the members will be expected to repay KES 2,500 a month. Repayments will be overseen by nominated group leaders, who will also manage the ‘graduation’ process. This will enable the young men to access larger loans after demonstrating timely and proactive repayment of their ‘nursery level’ loan. Primary level loans total KES 40,000, and secondary level loans KES 70,000. NRT Trading will link those that successfully repay secondary level loans to a bank to continue their financial management at a higher level. Using this model, NRT Trading hope to nurture business development and stimulate economies in conservancies. There are also thriving women-only SACCOs operating in several conservancies.